Daryl Johnson (Worcester Park, United Kingdom) on 1 December 2008 in Documentary & Street and Portfolio. This area of the market complex in downtown Naha, Okinawa was still busy, even in the late afternoon, unlike the section in the previous few days' shots. Great shot. I love this type of market. What a nice presentation. Interesting to notice that the prices boards are much more visible than ours! @standley: Thanks standley! I hadn't noticed there was a difference in how prices were displayed in different countries; an interesting detail! Excellent shot of this market. It all looks so fresh. @Laurie: Cheers Laurie! 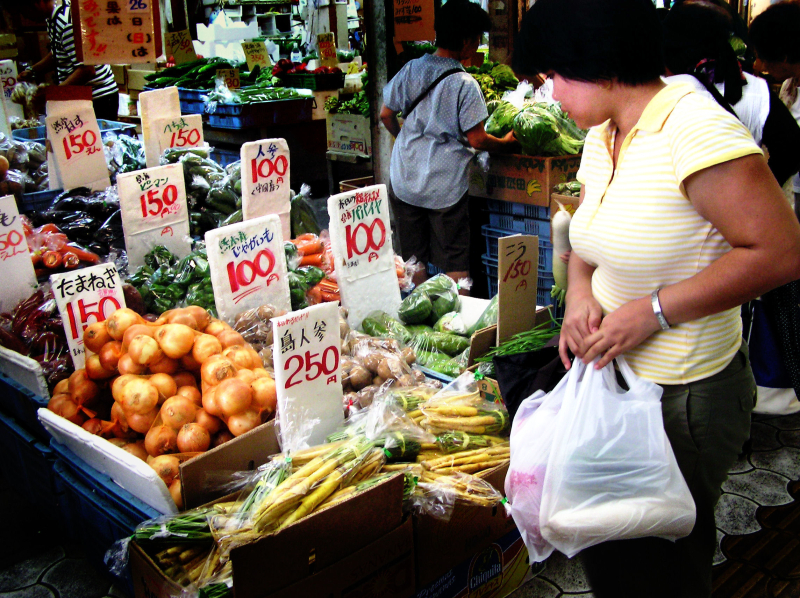 Many vegetables here aren't available in mainland Japan. @Lorraine: Cheers Lorraine! I'm happy to be of service! Good streephoto in lovely colours. nice market place, you give me "envie" to try to go to people! !